Although detached house prices have dropped more than 6 per cent as of late June, and trends show more supply on hand than sales, the demand for condominiums continues to soar. Up-and-coming Millennials and downsizing baby boomers are two such groups, whose eyes are firmly trained on the latest 905 condo developments for a cheaper and amenity-laden housing alternative. Two locations are hotbeds of planned or recently completed condo constructions. 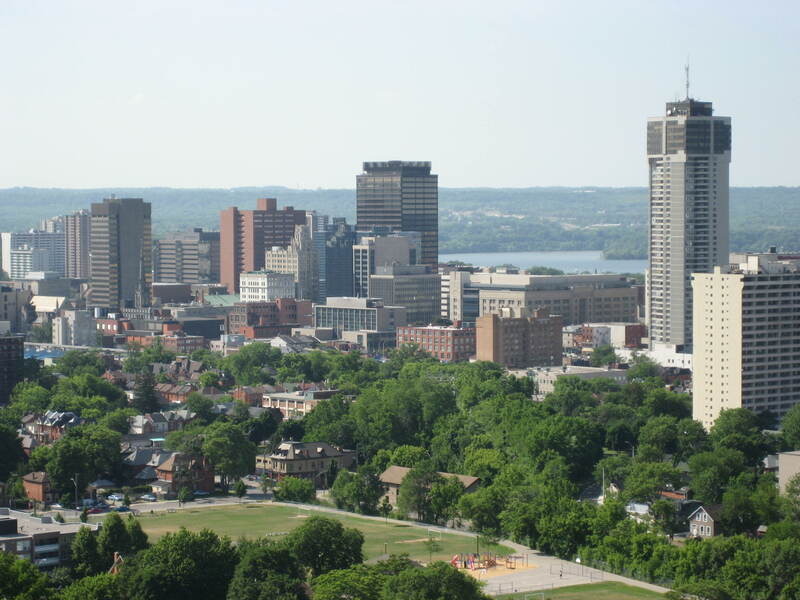 Hamilton, now leading on the real-estate front, is especially appealing for its lower price-points, luxury accommodation, larger living space, and area amenities in a city experiencing a thriving renaissance. As well, many home-seekers are looking at GTA’s burgeoning 905 condo projects, rather than pinning hopes on buying real estate in the glutted and expensive Toronto market. In the first quarter of 2017, sources reported a record-breaking three months, particularly for high-rises. The average sold price of Toronto condos and the surrounding 905 suburbs climbed approximately 24 per cent, year-over-year, from January to March. This huge increase indicates that condominiums are quickly on track to follow freeholds in sky-rocketing price-growth, rather than fall behind as in the past. In fact, sources point out that 905 condos are experiencing price appreciation that closely matches, and even outperforms unit prices in the City of Toronto. Nevertheless, as condo prices in Toronto continue to rise at unprecedented rates (average price: $521,842), more buyers are pursuing lower-priced 905 condos (average price: $375,801). As the supply of Toronto land shrinks, real estate developers are looking to build in suburban GTA, sparking cities, such as Mississauga and Vaughan, to invest heavily in their infrastructure and develop their own unique downtowns. Home to Wonderland, the McMichael Canadian Art Collection, the Canadian Soccer Hall of Fame, Black Creek Pioneer Village, conservation areas, shopping and restaurants, in addition to blossoming employment opportunities and start-up companies, Vaughan has become the ideal spot to live, work and play. Transit City North and South Condos is CentreCourt’s new build, situated right in the heart of the bustling Vaughan Metropolitan Centre, and conveniently located on Highways 7 and 400. Vaughan Metropolitan Centre is a 442-acre redevelopment. Plans include entertainment, retail and shops, hotel, convention centre, offices, and more. A pedestrian-friendly environment is also on the roster that will include a nine-acre park right in the heart of it all. The upcoming condos will stand 55 storeys high – the tallest residential tower in York Region − with 553 suites that will be bigger than Toronto’s average sizes. Living at these condos means taking advantage of the TTC’s billion-dollar Toronto-York subway extension that will transport residents from Vaughan to Toronto in only 35 minutes. Transit City has come by its name honestly. Situated beside the subway station, the condos are five to seven minutes to York University, 15 minutes to Yorkdale, and 43 minutes to Union Station. Additionally, the TTC VMC Subway Station, Inter-Regional Bus Terminal, and Vivanext Bus Rapid Transit Station, are all scheduled to open in late 2017. You’ll never be late for anything again! 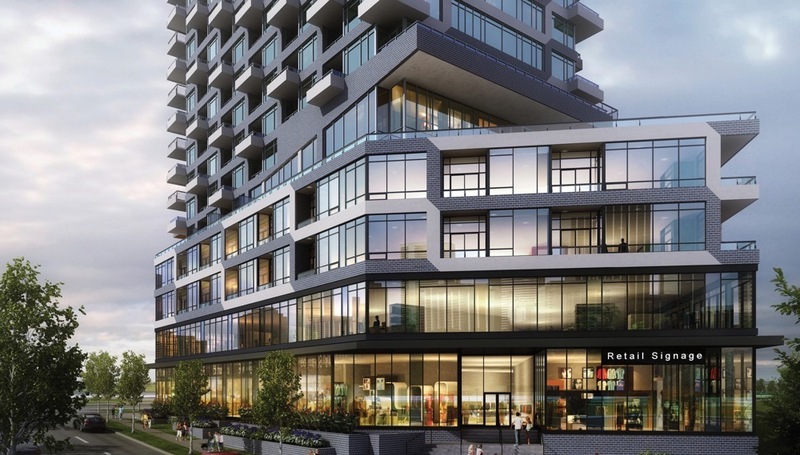 M City Condos, by Rogers Real Estate, is another landmark condo development coming to the 905. 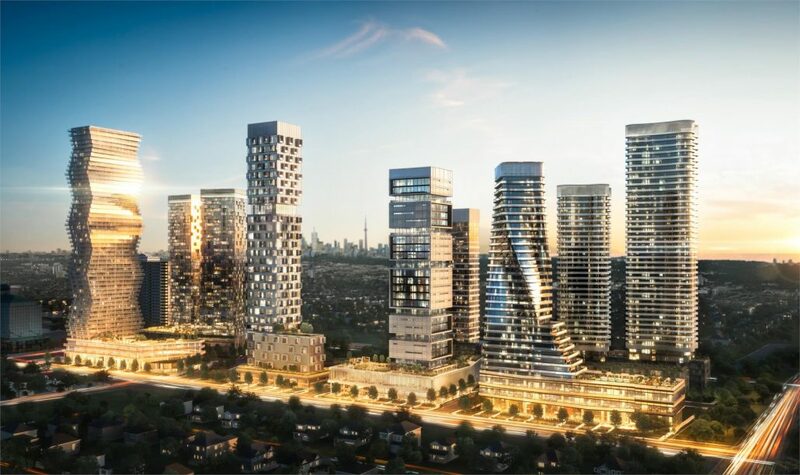 Situated in downtown Mississauga, near Square One shopping mall, at 460 Burnhamthorpe Road, the development will sit on 15 acres that, besides stylish condos units, will also provide retail shops and a new two-acre public park (M Park). 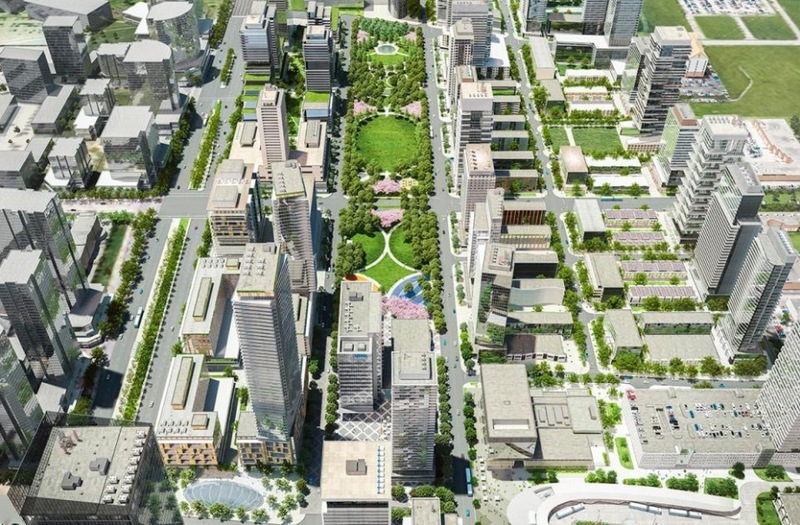 M1 will make up the $1.5 billion, master-planned community of M City. And it will be easy to spot its design from award-winning Core Architects with its undulating geometry that creates the impression of fluid movement and lightness of mass, and faceted glass podium. All development phases will interact with the streetscape and the fine grain network of blocks that characterize the master plan. The first tower (M1) will be built in the north-east corner, totaling 60 storeys and 784 units, one of the tallest structures in Mississauga. The development is scheduled for completion by 2022. Sales for available units start from $200,000. With construction slated to begin in late 2017 or early 2018, the build will continue in stages as units are pre-sold and as Rogers retains ownership of the land. Read M City Condos Rendering Turning Heads Ahead Of Launch. Currently in pre-construction. Avia Condos, by Amacon, will be created as the latest addition to the Parkside Village Community, located at Parkside Village Drive & Burnhamthorpe Road West, in Mississauga. Avia Condos will be a 45-storey tower with 568 mixed condo units. The completion date is yet to be announced, but some sources speculate 2021, with prices starting from the low $300s. Like M City, Avia condos will be within walking distance to many cafes, green spaces, schools and boutique storefronts, Square One and Sheridan College, with excellent public transit and easy access to all major highways. Parks such as Zonta Meadows, Queen Elizabeth Jubilee Garden and Cleary Park create a stress-free environment to escape to for a busy working community. Oak & Co. Condos, by Cortel Group, is a new pre construction development, located at 278 Dundas Street East in upscale Oakville (Dundas and Trafalgar). Cortel Group is known for building responsible neighbourhoods through comprehensive planning that includes beautiful green spaces, exceptional design and quality results. 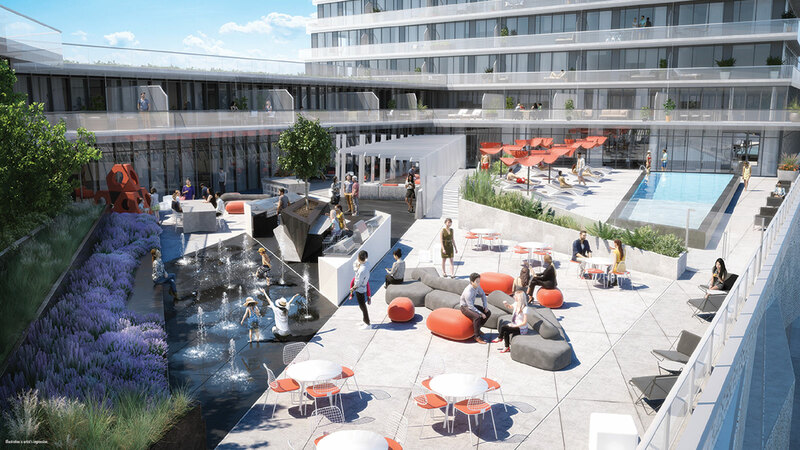 Oakville’s newest urban condominium project is located just 10 minutes away from Sheridan College Oakville campus, and aims to bring the experience of urban condominium life that’s typically found in larger downtown cities. Oak & Company Condo development will feature one tower of 750 units, starting at the high $300s, featuring studio units from 500 square feet to three-bedrooms units that are 1,000 square feet. For extended condo amenities, expect a gym, yoga studio, party room, outdoor patio, games room, library and lounge to complete your Oak & Co. lifestyle experience. Register today for first access to floor plans and prices before the official public opening soon to be announced. This is an incredible opportunity to own your new condominium in the River Oaks community of Oakville. Oakville was once a thriving port of entry for merchants and sailors in the early 1800s, and also a terminus for the Underground Railroad. Today, as part of the GTA, this suburban town has swelled to over 200,000 residents, and consistently ranks high as a top community and safe place to raise kids. Downtown comprises six city blocks along Lakeshore Road East from the Oakville Harbour to Allan Street, with over 400 businesses, including established art galleries, restaurants, high-style fashion and design houses, plus health centres and Oakville Memorial Hospital. Truly a fascinating scenic, heritage, art and entertainment destination to call home! An honourable mention goes to just west of Halton region; Hamilton’s transition from a once-prosperous Steel Town to an “Eds & Meds” city of professionals is luring an entire tech-savvy generation. Hamilton condos are in huge demand from those wanting to invest in a condo for their child(ren) attending McMaster University to those working in the flourishing health sciences and education/research workforce. For more information about 905 condo projects, visit Zoocasa, a real estate brokerage based in Toronto.